Schafer Electric Services, Inc provides the electrical services you need to remodel your kitchen or bathroom. Time for a big change? Remodeling can provide a lot of joy and cause a lot of stress. Let Schafer Electric Services, Inc take some of the stress out of the equation. Our certified electricians have been completing remodel projects in the North Bay for years. From Marin County to Lake County, we serve all of the North Bay. If you need an electrical contractor for your remodeling project, call Schafer Electric Services, Inc. Our team gets the job done right the first time—we always treat your home as if it were our own. 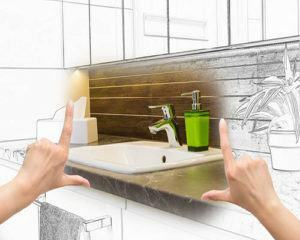 Remodeling the kitchen or bathroom? Contact Schafer Electric Services, Inc today—just give us a call or fill out the form below!